"Targeted Care Management: Approach to Preventing Readmissions"
Hospital readmissions have been under the microscope in recent years as payers and providers seek ways to rein in unnecessary healthcare costs. The optimal solution for it combines a predictive model, proven care management strategies, and embedded nurse case managers. 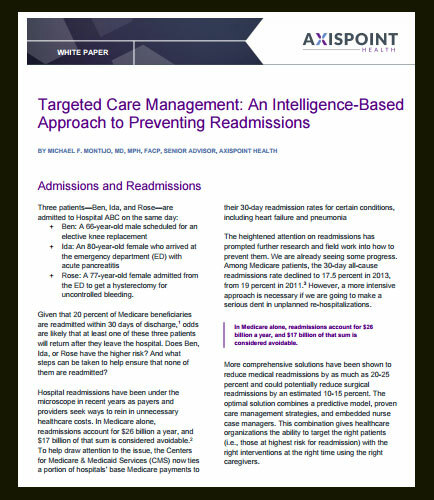 This whitepaper helps in reducing unnecessary readmissions by care management strategies based on the readmission risks.